Cloudy golden amber color. Delicate, citrusy aromas and flavors of baked orange and lemon, chili peppers, and green tea leaf with a velvety, tangy, off-dry light-to-medium body and a warming, delightful, medium-long finish that exhibits accents of pepper jelly finish. A peppery citrus syrup for spicy cocktails. 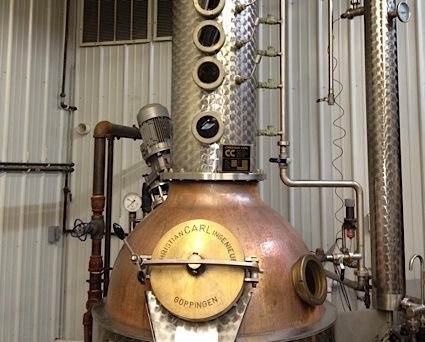 Bottom Line: A peppery citrus syrup for spicy cocktails. 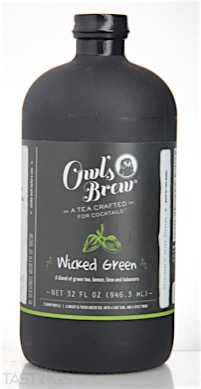 85 • Owl’s Brew Wicked Green 0% (USA) $13.99. 92 • Owl’s Brew Pink and Black Cocktail Mixer 0% (USA) $9.99. Owl’s Brew Wicked Green rating was calculated by tastings.com to be 85 points out of 100 on 5/11/2016. Please note that MSRP may have changed since the date of our review.